Spanish translation: "La libertad en la era digital" in Informatio 19/2, 2014, 5-23. Portuguese translation "La liberdade na era digital" in: "Ética da Informação: perspectivas e desafios" ed. Maria Nelida Gonzalez de Gomez & Regina de Barros Cianconi available free of charge in the website of Ed. Garamond, Rio de Janeiro, 2017. In the introduction the concept of information and knowledge societies as discussed in a recent UNESCO report is presented and the ethical perspective is explained. The first part of the paper deals with the concepts of ethics in general and information ethics in particular, explaining the difference between ethics or practical philosophy and morality or the customs and behavioural rules in a society. 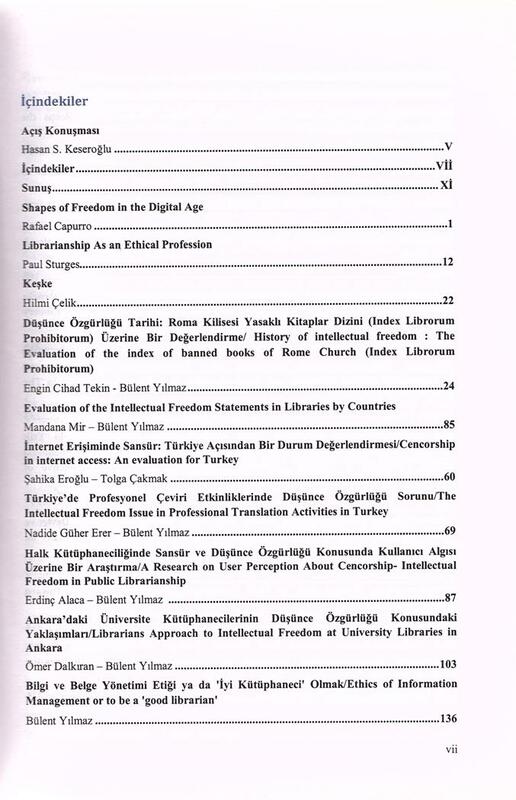 The task of information ethics as a descriptive and emancipatory theory and its critical role as problematization of morality related to different traditions of oral, printed and digital communication is explained. 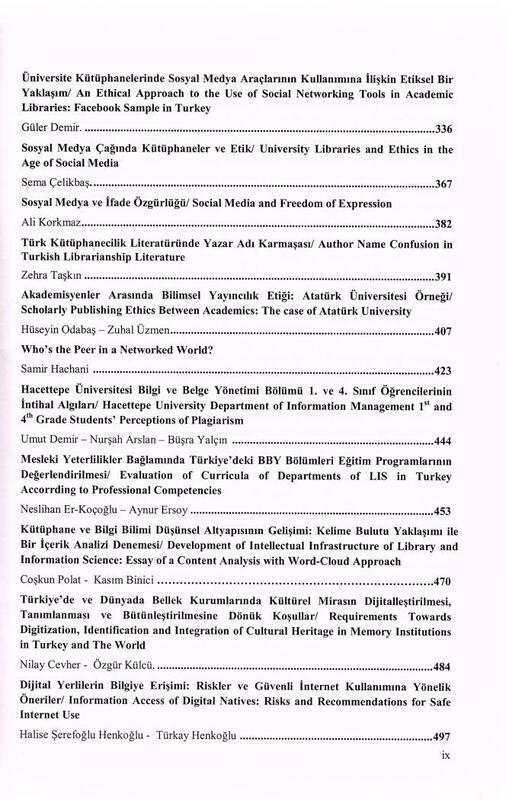 The second part of the paper deals with some ethical issues of information and knowledge societies starting with the changes by the cyberworld in the library field and expanding this issue to the ways in which tools such as the smart phone change the everyday life of the people creating new choices but also new forms of mutual disrespect such as ‘phubbing’. In the last part, the present debate on global surveillance is documented by referring to open letters and declarations. The conclusion states that the cyberworld creates new authentic forms of living as well as deformation and even annihilation of human freedom. Adding the term ‘knowledge societies’ to the one of ‘information societies’ was for UNESCO not just a formality but arose from the awareness of a complex societal process taking place beyond the technological infrastructure to which the term ‘information society’ originally referred. The conceptual difference between information understood as “signals measured in bits” (Mansell and Tremblay, 2013, p. 5) and their interpretation upon which knowledge is built, has social and political consequences. A knowledge society cannot be reduced to the creation of a technological infrastructure but implies learning processes ingrained in specific cultural contexts aiming at creating inclusive societies based on equality of opportunity as well as on a balance between a commercial and community oriented perspectives (Mansell and Tremblay, 2013, p. 5-6). In what we can call the commercial model knowledge is seen from a utilitarian perspective oriented towards productivity, commercialization and competition with a tendency to limit the access for instance via intellectual property rights. In contrast, the community model is based on the principle of freedom of expression as a fundamental right of democratic life from which the right to the public access to knowledge is seen as a common good. The ecologist James Garret Hardin (1915-2003) coined the term “tragedy of the commons” by pointing that the “tragedy” results from an excessive and negative use of a common good, in this case of information and communication (Wikipedia, 2013). The commercial model, however, does not necessarily leads into what Michael Heller, professor at the Columbia Law School, calls the “tragedy of anti-commons”, i.e., the danger of blocking creativity via intellectual property measures that limit excessively the access to knowledge (Mansell and Tremblay, 2013, p.14). The theoretical and political challenge is how to go beyond a mere opposition between these two models. Mansell and Tremblay take a critical stance with regard to the vision of a universal knowledge society that would be achieved by leapfrogging generations of information and communication technologies leaving aside options and realities, that is to say, social, economic and cultural dimensions that build the core of everyday life of the people. An example of unilateral visions are the discussions about the culture of the book as endangered by the internet becoming polemical when printing and digital technologies are merely opposed. Another example is the use of smart phones to which I will refer later. It is not by chance that the term ‘knowledge and information societies’ is being used in plural in these UNESCO reports. Present and future technological developments should not be understood as a kind of intermediate stage until the real goal of ‘the’ information and knowledge society is achieved, something that Mansell and Tremblay consider as “not possible or desirable.” (Mansell and Tremblay, 2013, p. 11) The plural form is a mark of human freedom. It points to open individual and collective options about possible forms of good life in particularly concerning the production, distribution, access and use of information and knowledge. Such forms of life are basic conditions for democracy, freedom, environmental protection, respect for the plurality of opinions and cultures, economic prosperity based on rules of fair play and equality of opportunities. The study of information and knowledge societies from the perspective of different options of ‘good life’ (Greek: eu zen) is of an ethical nature. The values and principles that are at stake in every human society as well as the everyday reflection on them do not take place in some kind of intra-psychic space isolated from a so-called external world or from a dialogue with others in a shared world. Individual and societal choices generate changes in practices and customs, to which the Greek term ethos (literally: character) and the Roman term mores (customs) point to. In the following, I deal first briefly with the concepts of ethics in general and information ethics in particular, explaining the difference between ethics or practical philosophy and morality or the customs and behavioural rules in a given society. I describe the task of information ethics as a descriptive and emancipatory theory and point to its critical role as problematization of morality. I also explain how this problematization is related to different traditions of oral, printed and digital communication. The second part deals with some ethical issues of information and knowledge societies explaining the changes introduced by the ‘cyberworld’ in the library field and expanding this issue to the ways in which digital tools such as the smart phone change the everyday life of the people, expanding their choices but also creating new forms of mutual disrespect such as ‘phubbing’. In the last part I document the present debate on global surveillance by referring to open letters and declarations from different social groups. Ethics as a philosophical discipline achieves a culmination in the Western tradition – after a complex evolution in the so-called Presocratics as well as in Plato, the Sophists, and the Stoa to mention just a few ‘schools’ of thought – in Aristotle’s practical philosophy (philosophia praktiké) that includes ethics (ethiké) as a reflection on the moulding or ‘in-forming’ the individual character (ethos),  economics (oikonomiké), i.e. everything related with the rules of good life (eu zen) within the family (oikos), and politics (politiké) as a reflexion about the rules of the city-state (polis). Later on, the term ‘ethics’ has been used and continues being used in daily life ambiguously, meaning either the customs themselves (ethos) and the reflection on such customs. In the academic context the term ethics has this second meaning in terms of a critical reflexion on norms and values underlying the life of societies, i.e., their ethos or mores, what can also be called the moral life or morality. The difference between ethics or practical philosophy and morality or social customs and values is crucial because it allows us to problematize a given implicit or explicit morality that includes, as Michel Foucault remarked (Foucault, 1988 and 1999), all possible forms of self-conception as a subject in a society. Ethics as a historical and methodical reflexion has its place mainly in the university but also in other educational and research centres. Such a reflection can be done not only in general but also with regard to specific contexts like the one dealing with norms and values at stake in information and knowledge societies. Information ethics, as this reflection is being called , can be even more specified as dealing for instance with ethical issues of the Internet (cyberethics; information ethics in a narrower sense), in computer science (computer ethics), in the biological and medical sciences (bioinformation ethics), in the mass media (media ethics) in the library and information science field (library ethics, information ethics in a broad sense, i.e. not restricted to the digital medium), in the business field (business information ethics) etc. It can be a descriptive or an emancipatory theory. As a descriptive theory it explores the power structures influencing informational attitudes and traditions in different cultures and epochs. As an emancipatory theory it develops criticisms of moral attitudes and traditions in the information field at an individual and collective level. It includes normative aspects. 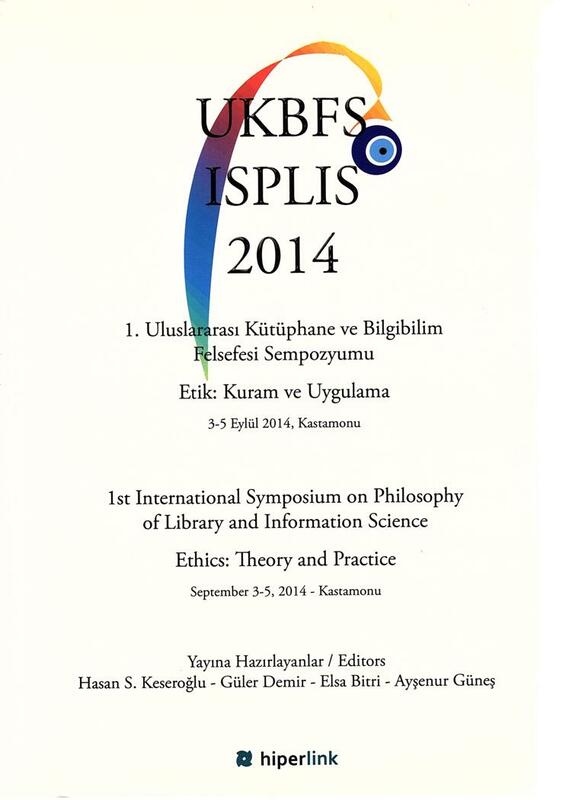 Information ethics explores and evaluates the development of moral values in the information field, the creation of new power structures in the information field, information myths, hidden contradictions and intentionalities in information theories and practices, the development of ethical conflicts in the information field (ICIE, 2014). As a critical reflection on information moralities, information ethics is not something that aims at imposing from the outside a kind of system or code of do’s and dont’s, i.e., as a code of moral duties and prohibitions but it deals precisely with the problematization of such norms and values laid down implicitly or explicitly in moral or legal codes. This is also the reason why ethics should not be confused with moral exhortation towards society (or societies) in general or specific groups in particular. In the last case we have to do with codified morality and not necessarily with issues professional ethics as a critical reflection on such codes. Although moral or ‘ethical’ codes are important and useful, they present or re-present general norms or principles that have to be interpreted with regard to a specific situation and can also be problematized as such. This does not diminish the practical importance of moral exhortations with regard, for instance, to professional responsibility. But the task of ethical thinking is not necessarily oriented or even reduced to them. Similarly, laws have to be debated socially and politically – a process that is that is influenced but not determined by academic thinking. Of course ethical reflection does not substitute moral consciousness. The decision about what option should be preferred remains open to preconditions and consequences partly unknown or unforeseeable for limited human freedom and human knowledge. In order not to be fundamentalist, morality understood as customary societal rules and values needs ethical reflection in everyday life as well as in its academic form in a similar way as law needs to be interpreted and applied, for instance in courts, but also theoretically problematized in jurisprudence. All this has to be considered also with regard to cultural traditions that influence each other through a long history. Political science as well as jurisprudence and ethics or practical philosophy are based, in order to be productive and creative, on sustainable processes of reflection within their own spheres as well as within process that can be called ‘translation’, i.e., relating their theories and concepts with their objects such as present social practices including the legal and political reality of a society. Disconnecting theory from practice(s) leads, also in this field, to a deterioration of both and in the case of social life to situations where violence, disorder and the spirit of dogmatism and ideology reign. Information ethics understood as a problematization of norms and values on which communicational processes are based has a long tradition whose origins go back, in the Western tradition, to, for instance, the Platonic criticism of writing with regard to oral speech (logos). Thinking about the nature of creativity and innovation is something particularly relevant for an entrepreneur as far as he is aware that such changes are based on the awareness of implicit beliefs that are the implicit or explicit ground of our self-understanding. The design of a new tool can unveil a new form of being-in-the-world and, correspondingly, a transformation of cultural traditions as well as of norms and values (Spinosa, Flores and Dreyfus, 1997). Tablets, smart phones, Google Glass and autonomous vehicles are recent examples of the intertwining between the cyberworld and the physical world (Capurro, Eldred and Nagel, 2013). In the digital age we look at the physical world from a perspective that echoes Plato’s distinction between the sensible world and the intelligible world, the main difference being that we have to do today with a technological instead of a theological distinction. Through Plato Socrates (or vice versa) taught us to see the physical world and ourselves from a new perspective. Inventors and entrepreneurs such as Tim Berners-Lee, Bill Gates, Sergey Brin, Larry Page or Steve Jobs, to mention just a few, unveiled a new world in which new forms of individual and social identities as well as new possibilities of local and global citizenship arise (Capurro, 2013). According to Lawrence Lessig, founder of the Center for Internet and Society at Stanford University and of the Center for Ethics at Harvard University, the world after the digital revolution is not only regulated by the codes of the market, the law and morality but by the ones of digital technology as well (Lessig, 1999). There is a similarity between the impact of the digital code in social customs to, for instance, engineers who built the bridges in the 19th century in Long Island having a social impact as far as the bus traffic was restrained and with it the access to the beaches for people depending on public transportation (Lessig, 1999, p. 92). Engineering and ethics were (and are) no less intertwined with ethical reflection as they are (or should be) computer science and information and communication science today. Information and communication professionals have dealt for centuries with the task of social regulation not only as they created systems and instruments for the classification, storage and retrieval of knowledge based on different media, particularly the book since the invention of the printing press but also as they together with architects and engineers built the libraries themselves that became architectural codes that materialized in different forms all kinds of social, economic and moral codes that ruled societies with different “dispositifs” (M. Foucault) of inclusion and exclusion. From the digital to the physical: a digital program can facilitate the search and access (also via a robot) to a physical object, like the book. From the physical to the digital: like in modern reading rooms where readers can use private or library computers for their work. From the digital to the digital: through digital searches in texts, images, etc. All these changes do not just refer to issues of space but of time as well. The librarian no less than the archivist and all information and communication professionals live within a spatio-temporal framework. We just need to take a trivial example on how long it takes to catalogue a book, put it into a shelf, search for it, find it, and give it to the user. The same can be said about the spatio-temporal framework of the user, the time she spends in the library, searching in a catalogue, waiting until a book is handled to her etc. and the changes that take place on such spatio-temporal conditions when digital technology is implemented on both sides. . The portable time materialized in watches that were invented in the 15th and 16th century but became popular in early 19th century enters now into a new regime based on communication devices like cell phones. The spatio-temporal code materialized in a technological invention changes the life of people at all levels. Libraries and archives were for centuries, material systems of the cultural memory of societies becoming now accessible through the digital network via personal computers, laptops, tablets, smart phones etc. that makes possible an immediate and ubiquitous access to the knowledge physically stored in libraries and archives as far as it is digitalized. Such tools transform users into producers of texts, images and sounds. All this takes place in the context of a digitally globalized world and allows individual and collective memory to get dynamically transformed through social interplay. We are now, as far as we are not excluded for different reasons from this process, in the middle of a new spatio-temporal framework. Our actions in the cyberworld are subject to digital codes that influence also our life in the physical world in such a way that who has only a limited access to the cyberworld experiences such limits negatively in her daily life. The UNESCO reports I already mentioned deal explicitly with this issue of the so-called digital divide. But it is also true that who lives and works within the new spatio-temporal framework created by digital technology experiences often all kinds of physical and psychological problems of which we still lack a systematic study (Capurro, 2013a). “The homogenous, linear space-time axis of the cyberworld shines back onto the conception of liberty, by freeing it of its abyssal dimensions that can be bridged only by trust within reciprocal interchanges. This is the highest imaginable danger for privacy since it turns self and world into uniform temporo-spatial and computational dimensions in which the ethical difference between who and what eventually disappear.” (Capurro, Eldred, Nagel, 2013, p. 104). Every human interplay, whether digital or not, is based on strategies of veiling and unveiling not only our personal data but our selves. This interplay through which we recognize each other as who we are does not take place between isolated and worldless individuals as was imagined by Descartes and European modernity. Human interplay relies on an original plurality of finite free selves sharing a common world. This allows each one of us to play her own life in relationship with others to whom they are open and able to recognize each other as such. This social consciousness of being free sharing a common world means also being responsible towards oneself and the others reflecting and questioning who we, as individuals and societies, are and what we can or cannot do, on what reasons and for what purposes, with regard to themselves and the common world. Being responsible means being able to give a answer and change a historical process or co-create a new one. The awareness of these issues was particularly strong during European Enlightenment but there are other roots and developments in other epochs and cultures too. In recent European history the atrocities of World War II play a significant role for the ethical answer manifested in the Universal Declaration of Human Rights. This is a concrete fundament of human rights that is paradoxically universalizable in a different way, namely historically and empirically, as metaphysical or religious theories or a naturalistic anthropology usually do. I believe that our generation and our epoch being confronted with the phenomenon of a digitally globalized world is particularly aware of the future of the earth and non-human living beings. We need a Universal Declaration of the Rights of Non-human Beings and Nature. Moral codes as well as written laws need a constant process of reflection and problematization in order to be open for new possible ways of being-in-the-world as far as our present theoretical or practical foundations are either not enough or unable to find solutions for the social and ecological problems we have to deal with. This is a similar situation as the one of the sciences when they face the issue of questioning a paradigm that determines and fixates a special way of interpreting natural or social phenomena. An ethical reflection must be able to question traditional ways of understanding ourselves. Such questioning arises often through new scientific discoveries and technological inventions no less than from artistic and cultural products. The world after Picasso is different from the world before him. The same can be said from the possibility of wearing with oneself a personal digital library using Amazon Kindle or the possibilities given by the use of a smart phone. What is a smart phone? At first sight, it looks like a marvellous tool that allows us to have the internet in our pocket. But take, for instance, the issue of phubbing, a neologism coming from ‘phone’ and ‘snub’. Phubbing is “the act of snubbing someone in a social setting by looking at your phone instead of paying attention." . Who does not feel mostly unease when being together persons start using their smart phones snubbing the physical presence of others? This is not just a question of bourgeois etiquette but it is a phenomenon that has to do with mutual recognition at the crossing of two worlds, the physical and the cyberworld, with changing forms of mutual respect or disrespect in the social interplay as well as with different forms of addiction to a tool of communication becoming often a tool of incommunication in a face-to-face context. What is here ethically at stake? At first sight, it is just about new tools and the way we use them for good or for bad. But, as we already saw, a tool is not just a tool but something that can transform our lives and our selves. Thinking ethically about this way of changing the social game means thinking about such transformation, i.e., how far does it imply a change of moral, economic, political and technical codes? Who are we who change? And who is addressed with this ‘we’? What is implied in this new spatio-temporal framework made possible by a digital tool? An ethical reflection deals with the transformation of an apparently obvious issue into something problematic such as asking about the ‘who’, her interests, the kinds of legitimization given or not (and by whom), the interests at stake and, more generally, the new rules of fair or foul play in the digital era. In other words, we ask for the meaning of freedom and the individual and social responsibilities in our time. A smart phone gives us, on the one hand, at the personal level a lot of freedom of communication and exchange of information. 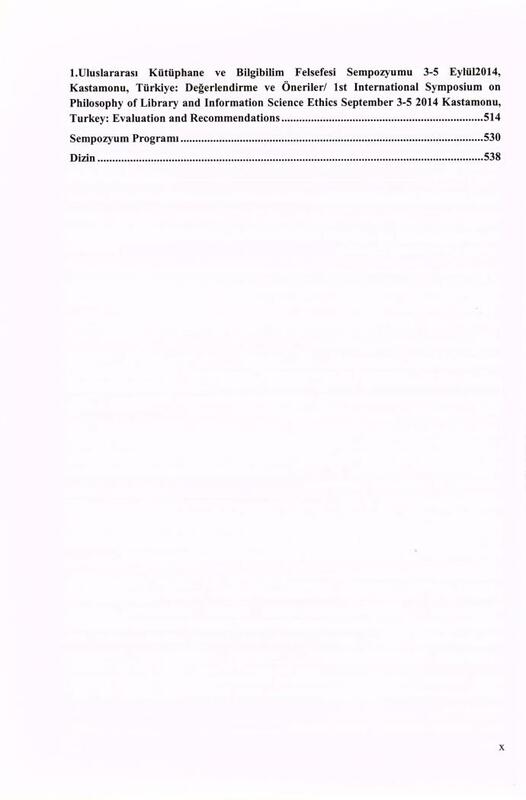 But, on the other hand, within the context of the cyberworld and together with other digital devices it is a tool for physical and digital control and surveillance at a global level as the massive global surveillance of the National Security Agence (NSA) as well as of other similar (democratic and non democratic) state and private organizations clearly show. Different societal groups have reacted with open letters and declarations that are worth being documented. “An Open Letter to Washington. We understand that governments have a duty to protect their citizens. But this summer’s revelations highlighted the urgent need to reform government surveillance practices worldwide. The balance in many countries has tipped too far in favor of the state and away from the rights of the individual — rights that are enshrined in our Constitution. This undermines the freedoms we all cherish. It’s time for a change. For our part, we are focused on keeping users’ data secure — deploying the latest encryption technology to prevent unauthorized surveillance on our networks and by pushing back on government requests to ensure that they are legal and reasonable in scope. AOL, Apple, Facebook, Google, LinkedIn, Microsoft, Twitter, Yahoo” (AOL and others, 2013)"
It is in all likelihood that these companies did not write this letter for purely ethical reasons. They fear the lost of trust of their users and with it the very real foundation of their business and reputation. Before public adoption of the Internet, well-established legal principles and logistical burdens inherent in monitoring communications created limits to State communications surveillance. In recent decades, those logistical barriers to surveillance have decreased and the application of legal principles in new technological contexts has become unclear. The explosion of digital communications content and information about communications, or "communications metadata" -- information about an individual’s communications or use of electronic devices -- the falling cost of storing and mining large sets of data, and the provision of personal content through third party service providers make State surveillance possible at an unprecedented scale. Meanwhile, conceptualisations of existing human rights law have not kept up with the modern and changing communications surveillance capabilities of the State, the ability of the State to combine and organize information gained from different surveillance techniques, or the increased sensitivity of the information available to be accessed. The frequency with which States are seeking access to both communications content and communications metadata is rising dramatically, without adequate scrutiny. When accessed and analysed, communications metadata may create a profile of an individual's life, including medical conditions, political and religious viewpoints, associations, interactions and interests, disclosing as much detail as, or even greater detail than would be discernible from the content of communications. Despite the vast potential for intrusion into an individual’s life and the chilling effect on political and other associations, legislative and policy instruments often afford communications metadata a lower level of protection and do not place sufficient restrictions on how they can be subsequently used by agencies, including how they are data-mined, shared, and retained. The 13 Principles are: legality, legitimate aim, necessity, adequacy, proportionality, competent judicial authority, due process, user notification, transparency, public oversight, integrity of communications and systems, safeguards for international cooperation and safeguards against illegitimate access. The right to privacy is central to who we are as humans and is enshrined in the Universal Declaration of Human Rights and the International Covenant on Civil and Political Rights. It protects us from unwarranted intrusions into our daily lives, allows us to speak freely without fear of retribution, and helps keep our personal information, including health records, political affiliations, sexual orientation, and familial histories, safe. Indiscriminate mass surveillance, which tramples individuals’ right to privacy and undermines the social contract we all have with the State, must come to end immediately. That is why we welcome efforts at the United Nations to adopt a resolution on “The right to privacy in the digital age.” Should it be adopted, the resolution, introduced by Brazil and Germany, would be the first major statement by the UN on privacy in 25 years. A strong resolution would crucially reiterate the importance of protecting privacy and free expression in the face of technological advancements and encroaching State power. It would also build on the strong stance taken by the UN High Commissioner for Human Rights, Navi Pillay, and the UN Special Rapporteur on freedom of opinion and expression, Frank La Rue, in recent months, as well as the International Principles on the Application of Human Rights to Communications Surveillance, an initiative supported by 300 organizations from around the world. Privacy is also interfered with even when metadata and other third party communications are intercepted and collected. We call upon all States meeting at the UN General Assembly this week to take a stand against indiscriminate mass surveillance, interception and data collection, both at home and abroad, to support the draft resolution and to uphold the right of all individuals to use the information and communication technologies such as the internet without fear of unwarranted interferences. This is a critical moment for the protection of privacy around the world. „A Stand for Democracy in the Digital Age. In recent months, the extent of mass surveillance has become common knowledge. With a few clicks of the mouse the state can access your mobile device, your e-mail, your social networking and Internet searches. It can follow your political leanings and activities and, in partnership with Internet corporations, it collects and stores your data, and thus can predict your consumption and behaviour. The basic pillar of democracy is the inviolable integrity of the individual. Human integrity extends beyond the physical body. In their thoughts and in their personal environments and communications, all humans have the right to remain unobserved and unmolested. This fundamental human right has been rendered null and void through abuse of technological developments by states and corporations for mass surveillance purposes. A person under surveillance is no longer free; a society under surveillance is no longer a democracy. To maintain any validity, our democratic rights must apply in virtual as in real space. * Surveillance violates the private sphere and compromises freedom of thought and opinion. * Mass surveillance treats every citizen as a potential suspect. It overturns one of our historical triumphs, the presumption of innocence. * Surveillance makes the individual transparent, while the state and the corporation operate in secret. As we have seen, this power is being systemically abused. * Surveillance is theft. This data is not public property: it belongs to us. When it is used to predict our behaviour, we are robbed of something else: the principle of free will crucial to democratic liberty. WE DEMAND THE RIGHT for all people to determine, as democratic citizens, to what extent their personal data may be legally collected, stored and processed, and by whom; to obtain information on where their data is stored and how it is being used; to obtain the deletion of their data if it has been illegally collected and stored. WE CALL ON ALL STATES AND CORPORATIONS to respect these rights. WE CALL ON ALL CITIZENS to stand up and defend these rights. WE CALL ON THE UNITED NATIONS to acknowledge the central importance of protecting civil rights in the digital age, and to create an International Bill of Digital Rights. WE CALL ON GOVERNMENTS to sign and adhere to such a convention. Intelligence agencies monitor people's Internet use, obtain their phone calls, email messages, Facebook entries, financial details, and much more. Agencies have also gathered personal information by accessing the internal data flows of firms such as Google and Yahoo. Skype calls are "readily available" for interception. Agencies have purposefully weakened encryption standards - the same techniques that should protect our online banking and our medical files. These are just a few examples from recent press reports. In sum: the world is under an unprecedented level of surveillance. The signatories of this declaration call upon nation states to take action. Intelligence agencies must be subjected to transparency and accountability. People must be free from blanket mass surveillance conducted by intelligence agencies from their own or foreign countries. States must effectively protect everyone's fundamental rights and freedoms, and particularly everyone's privacy. These letters and declarations are a clear testimony that when dealing with the issue of privacy we are dealing with the future of freedom in the digital age. Information ethics should make critically explicit new realities and possibilities of human freedom generated by new tools in the physical as well as in the digital world. The cyberworld creates new forms of authenticity as well as of deformation and even annihilation of the human freedom interplay with a lot of possibilities in between. It is about empowering citizens to manage better their lives as well as about creating structures of local and global social cooperation and support without using such structures as instruments of control and surveillance that transform individuals and societies into puppets of state power or of big commercial enterprises that follow paradoxically the paths of 20th century mass media transforming the early dreams of the internet into a nightmare. Information and communication commercial and state monopolists exert a sometimes hidden sometimes explicit control on individuals by bypassing not only their privacy, i.e., their free decision about concealing and revealing who they are, but also legal and political agreements at national and international level. By doing so they undermine the foundation upon which they are built, namely trust among free players sharing a common world. The Declaration of Principles proclaimed in December 2003 at the World Summit on the Information Society was a good but weak start compared with today’s urgency of an International Charta of Digital Rights establishing global rules of fair play for shapes of freedom in the digital age. The Greek terms eidos, idea, morphé and typos build the ground for different meanings of the Latin terms informare / informatio on which the present use of ‘to inform’ and ‘information’ is based (Capurro, 1976 and 2009). Personal comment (February 3, 2014) by John Holgate, Director of Library Services at St. John Hospital in Sydney: “This is a key area of future discussion about the spatial-temporal-informational spheres of being and modal moments of experience. When I visit my public library I am simultaneously a rate payer, a book borrower, a reader, a computer user, a photocopier, a browser of shelves etc. The edges of the spheres are fluid. The recent Spike Jonze's film ‚Her’ is a marvellous study in how we float between digital moments and move to and fro from different spatio-temporal-informational experiences – not only cognitively but emotionally and sexually. The real Gyges [a mythical king whose ring made him invisible as Plato tells in his Republic II, 359a-360d] of the film is the invisible OS – Her – whose reality emerges beyond the merely digital to a community of OS’s which have absorbed ‚human’ characteristics. I’m interested to hear your response to the film. ‚Her’ echoes Kubrick’s Hal of 2001 Space Odyssey. The solipsistic Digital Nerd of the film – Theodor – is a (moral?) prototype of homo informaticus... the ‚hero’ of our age?" On the concept of message society within a communication theory that I call angeletics (from Greek angelia = message) as different from the theological discipline called angelology. See Capurro and Holgate, 2011. AOL, Apple, Facebook, Google, LinkedIn, Microsoft, Twitter, Yahoo (2013). Global Government Surveillance Reform. Bielby, J. (2012). Information Ethics: Its Origins and Evolutions. Bindé, J. and others (2005): Towards Knowledge Societies. UNESCO report. Bynum, T. (2008). Computer and Information Ethics. In Stanford Encyclopedia of Philosophy. Capurro, R. (2013a). Medicine in the Information and Knowledge Society. Capurro, R. (2009). Past, Present and Future of the Concept of Information. tripleC, 7 (2), 125-141. Capurro, R. (2008). Intercultural Information Ethics. In K. E. Himma and H. T. Tavani (eds. ): The Handbook of Information and Computer Ethics. Hoboken, New Jersey: Wiley , pp. 639-665. Capurro, R. (1978). Information. Munich: Saur, 1978. Capurro, R., Eldred, M. and Nagel, D. (2013). Digital Whoness: Identity, Privacy and Freedom in the Cyberworld. Berlin: de Gruyter, 2013. Capurro, R. and Holgate, J. (eds.) (2011). Messages and Messengers. Angeletics as an Approach to the Phenomenology of Communication. Munich: Alber, 2011. Electronic Frontier Foundation et al. (2013). Open Letter to the UN General Assembly. Foucault, M. (1999). Discourse and Truth: the Problematization of Parrhesia. Foucault, M. (1988). Technologies of the Self. A Seminar with Michel Foucault. Ed. By L. H. Martin, H. Gutman, P. H. Hutton. The University of Massachusetts Press, 1988. Froehlich, Th. (2004). A brief history of information ethics. International Center for Information Ethics (ICIE) (2014). Lessig, L. (1999). Code and other Laws of Cyberspace. New York: Basic Books, 1999. Mansell, R. and Tremblay, G. (2013). Renewing the Knowledge Societies Vision for Peace and Sustainable Development, UNESCO report. Platon (1973). Opera. Ed. J. Burnet. Oxford University Press. Privacy International, Access, Electronic Frontier Foundation (2013). International Principles on the Application of Human Rights to Communications Surveillance. Spinosa, Ch., Flores, F. and Dreyfus, H. L. (1997). Disclosing New Worlds. Entrepreneurship, Democratic Action, and the Cultivation of Solidarity. The MIT Press, 1997. United Nations, General Assembly, Human Rights Council (2013). Report of the Special Rapporteur on the promotion and protection of the right to freedom of opinion and expression, Frank La Rue. Wikipedia (2013). Tragedy of the Commons. Winograd, T. and Flores, F. (1986). Understanding Computers and Cognition: A New Foundation for Design. New Jersey: Ablex, 1986. Copyright © 2014 by Rafael Capurro, all rights reserved. This text may be used and shared in accordance with the fair-use provisions of U.S. and international copyright law, and it may be archived and redistributed in electronic form, provided that the author is notified and no fee is charged for access. Archiving, redistribution, or republication of this text on other terms, in any medium, requires the consent of the author.